12 Red Roses vase with Heart shaped Lindt Chocolate box.Open your heart and your soul to a time of endless affection with that special someone. Be prepared to be the center of attention as its time for Bearing My Love! 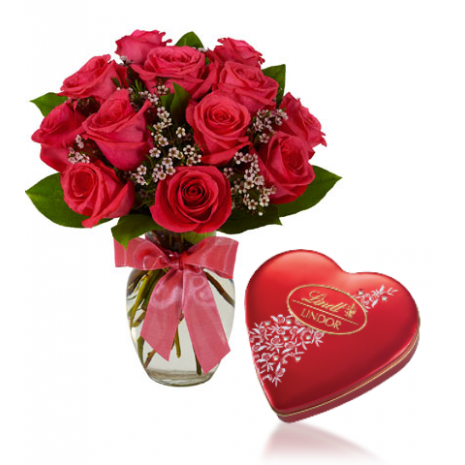 One perfect red roses vase with a chocolate box showers the moment in pure romantic bliss.